A special double-issue for BCS #250! 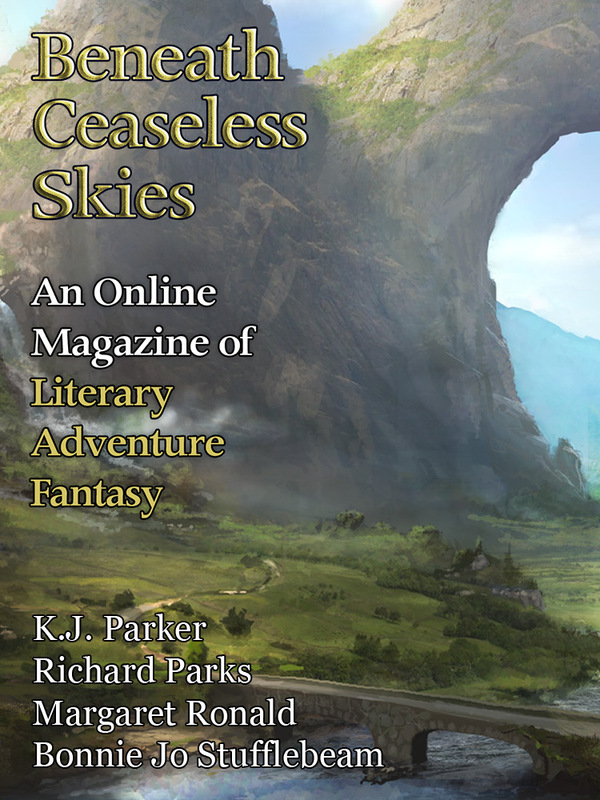 Featuring two bonus stories, two guest-narrated podcasts, new cover art “Legendary Passage” by Jereme Peabody, and a BCS Ebook Subscription Drive! The day before the money finally ran out, I did come across a tantalising possibility which, one of these days, I really must get around to following up, since it might just be the missing ingredient that would make all the difference; but of course I was in no position to do anything about it at that time, so I sold the glassware for even less than I paid for it and wandered into the centre of town, trying to figure out what to do with the rest of my life. For once in my life, I could walk down the street without looking for places to run to if I heard someone yell my name. Now I understood my impression of the magistrate’s reaction. More, I did not miss Mei Li’s implication—it applied to herself as much as the magistrate. The perceptive kobold peered around the corner and, seeing me, grinned, exposing quite a lot of pointed teeth. "Nom de solelh! My good friend! My friend Mr. Swift! I did not expect to see you so soon!" I set down my glass and crossed the hall to her, taking her hand in both of mine. It was, in short, a kobold, one of the refugees cast out for choosing the wrong side in the recent war; that is to say, our side. I struggled with the thought that one day my anger would emerge. Perhaps my father had been sweet as a boy and even as a young man; perhaps his true temperament had arrived with the first pains to plague his back or his first gray hair or the placement of a crown upon his head. I dreamt myself a monster, half bear with long claws, half serpent with two poisonous fangs behind my lips. I slept less and less for fear that I would wake and the nightmares would have transferred themselves into the waking world. We daughters of angry kings tell ourselves terrible stories. We do this to convince ourselves that what we went through, what we witnessed, could have been worse.